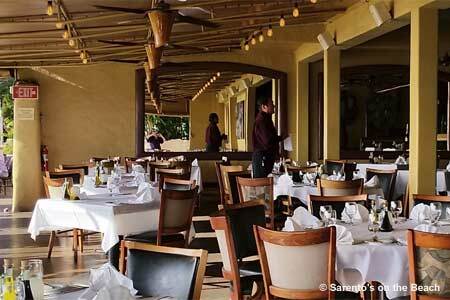 Fine Italian cuisine with fresh island seafood plus a beachside location means romantic ambience aplenty. : This beachside restaurant is yet another quality-first member in the group that also includes Aaron's and Sarento's in Honolulu and Nick's Fishmarket on Maui. The specialty of the house is atmosphere and attentive service, along with a menu of classic Italian specialties (chef George Gomes has departed the restaurant). There's calamari fritti: crispy calamari in a tomato-caper sauce with lemon aïoli. Salad Gabriella layers tomatoes with goat cheese and grilled marinated baby artichoke hearts, served with arugula. Osso buco pairs the braised veal shank with saffron risotto and gremolata. For dessert, we recommend the tiramisu. You are certain to find something to enjoy on the 1,500-bottle wine list.